In this blog series, we highlight some of our favourite Turkey-related articles and news titbits that we’ve read and listened to over the past month (or two, in this case). The Ottoman History Podcast began as a modest experiment in 2011, but has since grown into a vast digital resource on the history of Turkey and the Middle East. In episode no 280, titled ‘Architecture and Late Ottoman Historical Imagination’, the host Susanna Ferguson speaks to Prof Ahmet Ersoy about the first text of modern art history writing in the Ottoman Empire, the Usul-ı Mi’marî-yi Osmanî or The Fundamentals of Ottoman Architecture (above image). Ersoy, whose most recent book is centred on this text, talks about how the work, written by a cosmopolitan group of Ottoman architects in 1873, skilfully utilises Orientalist scholarship to emphasise what the authors believed set Ottoman architecture apart: syncretism. The conversation touches on topics ranging from the different layers of Orientalism to how architecture is wielded by those in power today. The Ringmaker © 2004 by Trici Venola. Grand Bazaar, Istanbul. Etem Acar, one of the many workmen in cubbyhole workplaces above the courtyards there. A November episode of the Savvy Painter, a weekly podcast where the host, artist Antrese Wood, interviews painters about their craft and building their business, features the Istanbul-based artist Trici Venola. After years spent as a digital illustrator in Los Angeles, Venola fell hard for Istanbul. With the city as her muse, she recouped her ability to draw by hand. To see more of her beautifully detailed pen and ink drawings of Istanbul life, purchase her book Drawing on Istanbul 2 from the Cornucopia bookshop. 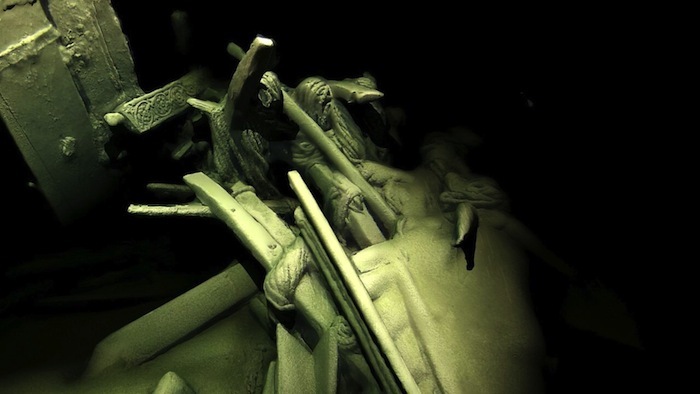 The word ‘remarkable’ gets thrown around quite a bit – and rightfully so – to describe the more than 40 shipwrecks that were discovered off the Bulgarian coast by the Black Sea Maritime Archaeology Project last autumn. William J Broad characterises the find as ‘one of archaeology’s greatest coups’ in his article for The New York Times. The ships are so well preserved – almost unbelievably so – because of their location: salt water arriving through the Bosphorus has rendered the depths of the Black Sea oxygen-free. Just as astounding are the images. These digital models are created through the time-intensive process of photogrammetry, whereby a computer ‘combines photography with the careful measurement of distances between objects’ to turn ‘flat images into renderings that seem three-dimensional’. One hopes that this discovery ‘will inspire further exploration of the coast of Turkey and other countries around the Black Sea,’ as Roger Williams writes on the Cornucopia blog. November saw some disturbing news from the Housing Development Administration of Turkey (TOKI). 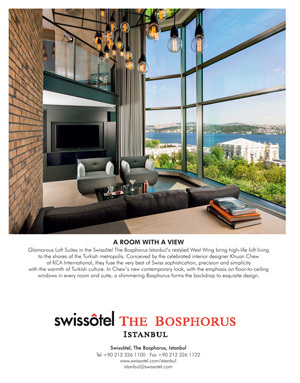 Hurriyet Daily News reports that this spring TOKI will demolish so-called ‘ugly’ buildings in the highlands of the Black Sea in an effort to tackle what they classify as ‘growing sprawl’. In their place, TOKI plans to build ‘resting and social areas’ that will meet the demand of visitors. 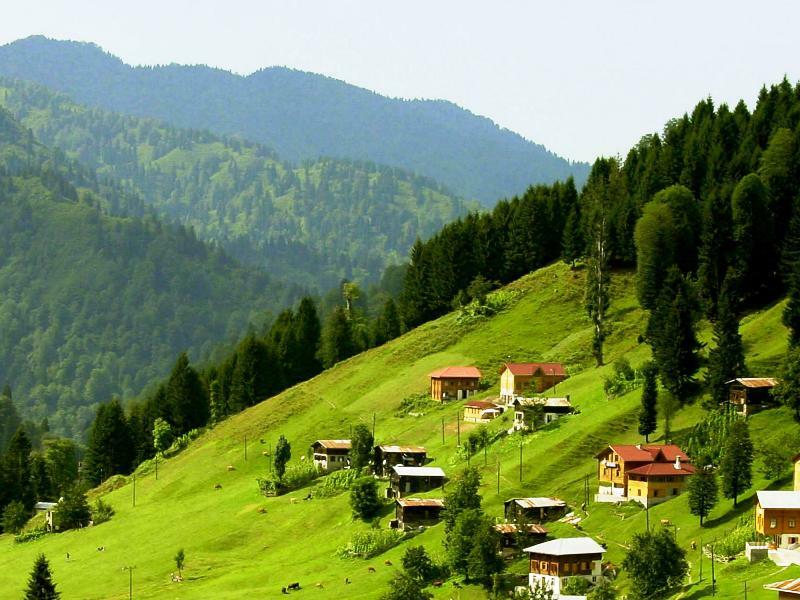 Beginning in Ayder, one of the lush yaylas in the hills of Rize, the project would extend to other plateaus popular with tourists in the Black Sea region. Based on TOKI’s track record, we have trouble believing that these new structures will ‘reflect the traditional architecture’ and be built ‘without harming nature’. This initiative seems designed to line the pockets of developers, when the focus should be on protecting the astonishing natural beauty of the Black Sea hinterlands. 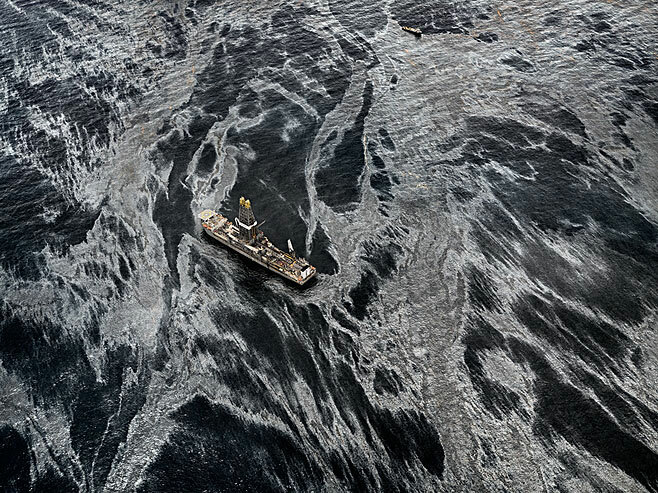 At their best, Edward Burtynsky’s large-scale photographs of industrial landscapes have ‘the texture of neo-Expressionist paintings: darkly gorgeous portraits of devastation,’ writes Raffi Khatchadourian in The New Yorker. This engrossing profile of the photographer is a good introduction to his work, which Istanbullus can see at Borusan Contemporary until February 19. The exhibition, titled Edward Burtynsky: Aqua Shock, documents humanity’s increasingly stressed relationship with global water resources. Halil Altındere, ‘Muhammed Ahmed Faris with Friends I’, 2016, Courtesy the artist and Pilot Gallery, Istanbul. Halil Altındere, one of the most prominent artists working in Turkey today, has a new solo show at Andrew Kreps Gallery in New York. 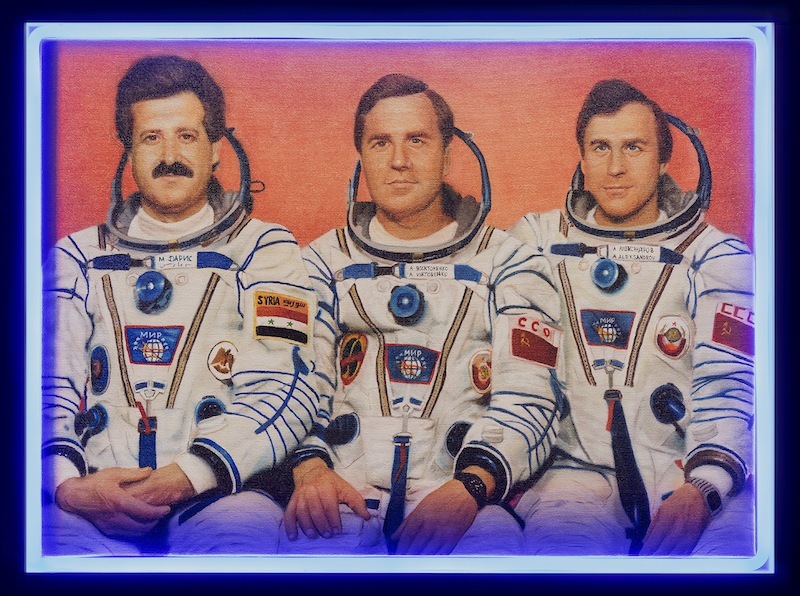 Titled Space Refugee, the exhibition focuses on Muhammed Ahmed Faris, the first Syrian astronaut, who now lives as a refugee in Turkey. This provides an interesting jumping-off point for a broader conversation about refugees and space, with the artist pondering, in deadpan manner, whether Syrian refugees can travel to Mars and start a civilisation there. ‘The project flirts with the humorous and wholly unreal at times, but at its foundation is a deadly serious statement,’ writes Kaya Genç for the website Vice News, one of the many arms of the youth-focused Vice Media. On the music front, Hurriyet Daily News reports that the world-renowned Turkish pianist Fazıl Say received the International Beethoven Prize for Human Rights, Peace, Freedom, Poverty Reduction and Inclusion on December 17. Quite a mouthful, but certainly a well-deserved honour. At the awards ceremony Say treated the audience to a performance of Aşık Veysel’s ‘Kara Toprak’ (Black Soil). 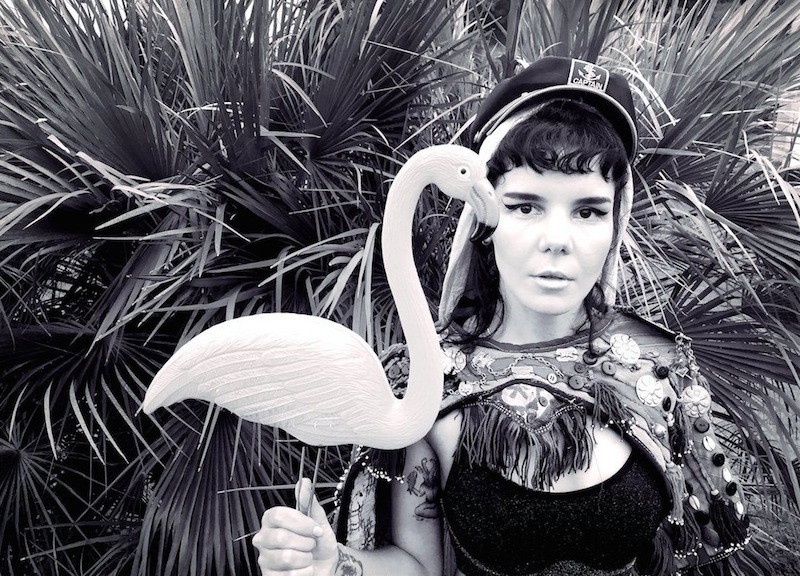 The singer-songwriter Gaye Su Akyol creates music that is ‘frustratingly difficult to label,’ writes Ezgi Üstündağ in Reorient, a Middle Eastern arts and culture magazine. Part Anatolian folk rock, part classical Turkish music, her unusual sound has turned heads. Akyol’s second full-length album and international debut, Hologram İmparatorluğu (Empire of Holograms), is a critical darling, and her theatrical live performances – ‘replete with glittering, retro sci-fi inspired costumes and Akyol’s constant glass of rakı’ – always draw a crowd in Istanbul. Jason Goodwin, author of the bestselling historical Investigator Yashim series, compiled a list of his top 10 reads of 2016 for Argonaut Books, publisher of his latest release, Yashim Cooks Istanbul. We were chuffed to see that Palmyra 1885, the new Cornucopia book featuring John Henry Haynes’s photographs of Syria’s ancient desert city, made the cut. On the subject of books, Evan Kleiman writes in the Los Angeles Times about the current profusion of cookbooks on food of the Silk Road. 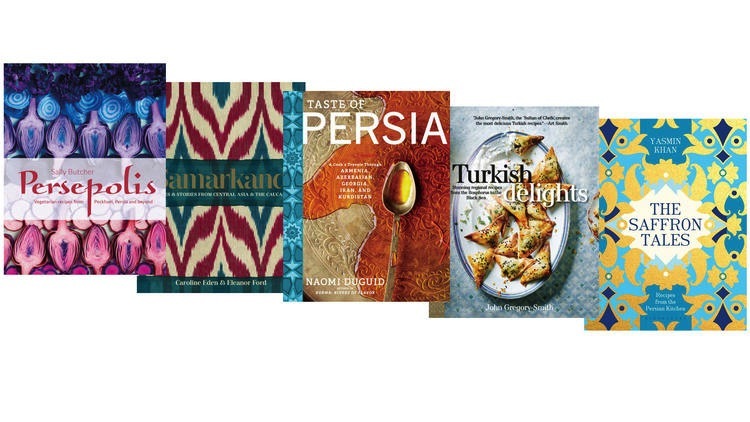 Out of the five books he reviews, two will be of particular interest to Cornucopia readers: Turkish Delights by John Gregory-Smith and Samarkand: Recipes & Stories From Central Asia & the Caucasus by Caroline Eden and Eleanor Ford. Kleiman marvels at the way that these cookbooks use storytelling and photographs of cultural treasures to great effect, resulting in books that provide ‘a welcome, deeper understanding of places that have received little of our attention’. Finally, in a bittersweet end to 2016, Al Jazeera’s film Istanbul Streets: I Hear Music pays homage to Istanbul’s street vendors – ‘a dying breed’ writes Andrew Finkel in Cornucopia 54 – and records them as they ‘chant their last songs amid the city’s gentrification’.